Despite being ahead of the technology curve, Japanese smart phones never saw a global release even in key markets such as the U.S. and Europe. For the longest time, Japan reigned supreme when it came to the latest technology and gadgets. This high level on innovation and ingenuity enabled several Japanese vendors to quickly make a name for themselves and soon expand to overseas markets. As manufacturing methods and logistics improved over the decades, the world’s population got their hands on the latest VCRs, televisions and video game devices that were “made in Japan". 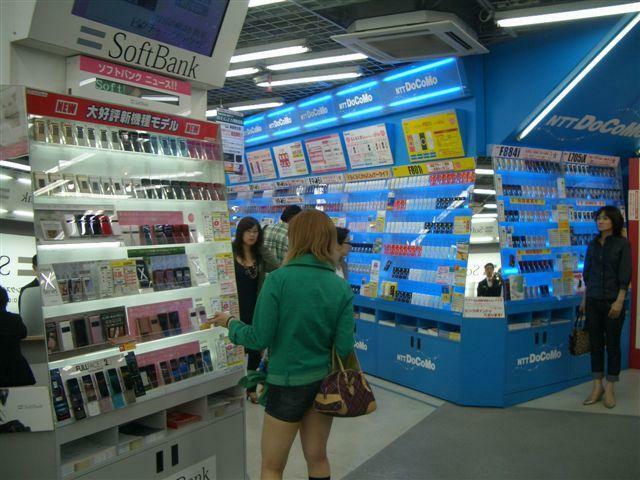 But one technology that was notably absent in Japan’s technology boom in overseas markets was the mobile phone. While consumers in the West were content with their humble Nokia handsets through the 90s and the early 00s, any visitor to Japan would have been surprised and impressed by the sheer advancement and variety of mobile phone technology available in the island nation. Large colour screens, Internet access, email support – all standard on Japanese mobile phones years before the iPhone and the smartphone revolution began. But while these advanced mobile phones enjoyed growing success in Japan, to the extent where the handsets would receive a minor hardware refresh for every season of the year, this phenomenon was isolated to Japan. The large size of the Japanese consumer market is what NTT Australia managing director and CEO, Yoshimasa Hashimoto, believes enabled the high level of growth and innovation in it. In particular, he highlights the introduction of i-Mode, NTT DoCoMo's mobile internet service in Japan, in 1999 as the key growth driver in the early 00s. “i-Mode enabled phone users to use a lot of applications such as net banking, online payment and shopping, customised ring tones using popular music, as well as e-mails, text messages, and the other prevailing features which currently smartphones can provide,” Hashimoto said. He also points to the fact that the development of mobile phone technology received heavy investment from the three major telcos in Japan: NTT DoCoMo, KDDI and Softbank (formerly Vodafone Japan). While the large consumer technology players such as Panasonic, Sharp and Sony have a long and successful history of releasing mobile phones in Japan, they never really took the next step and had their handsets sold overseas through their existing distributor network, leaving many industry pundits and consumers wondering why. Hashimoto attributes this to the Japanese market being big enough for the vendors to keep their business profi table without needing to look outside for further revenue. “More importantly, the development of technology was driven by the three major telco operators whose business was mainly domestic in Japan,” he said.